We’ve always had a soft spot for Todd Boston. We first heard him with his east-west duo Urban Nature with percussionist Ramesh Kannan in California. But he grew up in the Philadelphia suburbs with his radio dialed into Echoes on his local radio affiliate, WXPN. He became immersed in the sound of Windham Hill Records and guitarists like Will Ackerman, Alex De Grassi and Michael Hedges. He also got exposed to Indian music and studied sarod with Ali Akbar Khan, which turned out to have been a gateway to an even wider world of music. 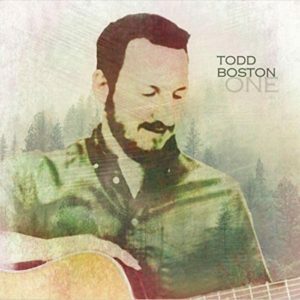 Todd Boston’s second album, Touched by the Sun, was an Echoes CD of the Monthpick in 2012, as was his first solo album, Alive, in 2010. Touched was produced by one of his heroes, Will Ackerman, and that influence elevated Boston’s game immensely. Since then, he’s become a pretty good producer in his own right, making records with artists around the Kirtan scene. And now he applies those skills to his latest album, simply called One. The title comes from the fact that there is only a solitary musician on the record: Todd Boston. But he turns himself into a one-man world music ensemble, playing guitars, dobro, the Chinese guzheng zither, African djembe and udu drums, Indian bamboo flutes, and others. The result is a contemplative, pastoral journey full of vivid colors. 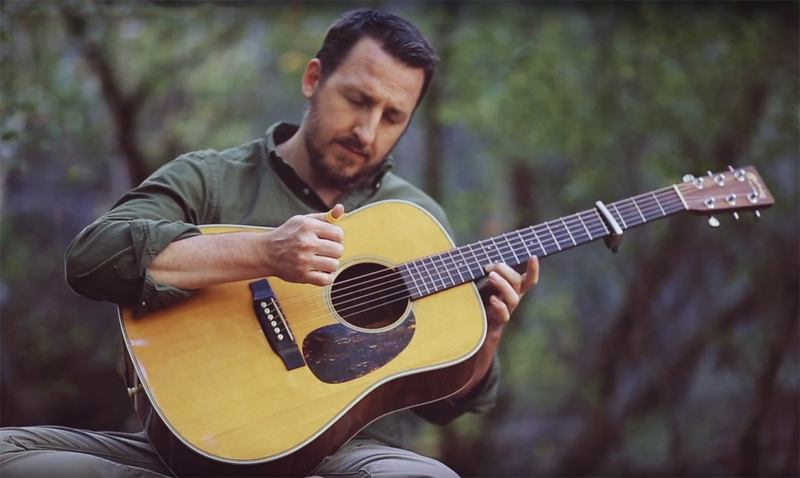 The second track, “Fresh Strings” lays out the framework for the album, a languid country-tinged piece with lap steel guitar accents and chamber modes coming from the GuitarViol, an instrument whose sound and look you can divine from the name. Boston uses it as a cello-like undertow. “Fresh Strings” is an idyllic slice of Americana, but the following composition taps Boston’s global side. On “Ambrosia” the bamboo flutes, multi-tracked, carry the main melody with a counterpoint from a mini-guitar ukulele that he plays more like a mandolin. It’s one of those world-influenced pieces that floats without country, but out in the ether of unity. One has a kinship with Mike Oldfield albums like Ommadawn or a bit more obscurely, Mark O’Connor’s 1982 album of multi-tracked strings, False Dawn. Like those recordings, Boston’s One creates a space, and sets a scene in a beautifully arranged world. “Astral Heart” suggests a perfect autumn day in New England, and the perfectly balanced and resonant sound of “Blue Pearl” evokes a Zen garden. “Realization” takes Boston back to his Urban Nature sound with udu drums providing a loping groove while Boston plays the melody on guitar, bending and dragging notes as if playing a sitar. Most of One is light and vibrant, in a good way, but Boston dips into some deep contemplation on “Early Reflections,” featuring the GuitarViol in multiple overdubs, etching a deep Arvo Pärt-like elegy. One ends on the very contemplative “Dreamtime.” There’s no acoustic guitar, Boston just plays electric guitar swells while he ruminates on flute, finally fading into crickets. It’s the only standard new age move on the album, and it’s still really good, a quiet close to an album that has been a journey from beginning to end. It makes you become One.